INSTRUMENT 1 by Antiphon on Kickstarter, and it's already surpassed its funding goal. The multi-instrument consists of a force-sensitive fretboard alongside a digital string-like interface and built-in speakers. It's designed to be played in various ways, mimicking different instrument depending on how it's held, from strumming it like a guitar to putting it on your lap and using the frets as piano keys. 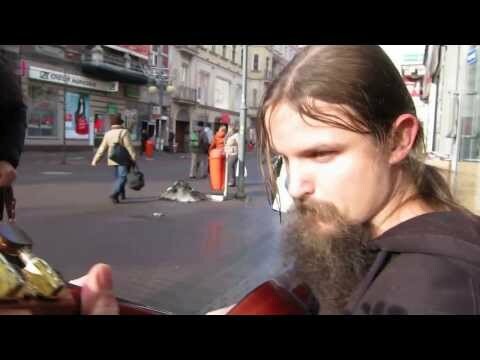 Perform by Polish busker Mariusz Goli.